- 29 endings. Most endings have CGs, and the “good” or “bad”ness of the endings depends on your own interpretation, so I can’t determine. - Completely free, no profits taken. If you bought this, you’ve been scammed. - Sh*tbrick. Really. Ask the beta-testers. May vary whether you’ve seen it coming or not. The game is complete, was released on 2013 and no further updates will be made. PC only atm, Mac is untested. 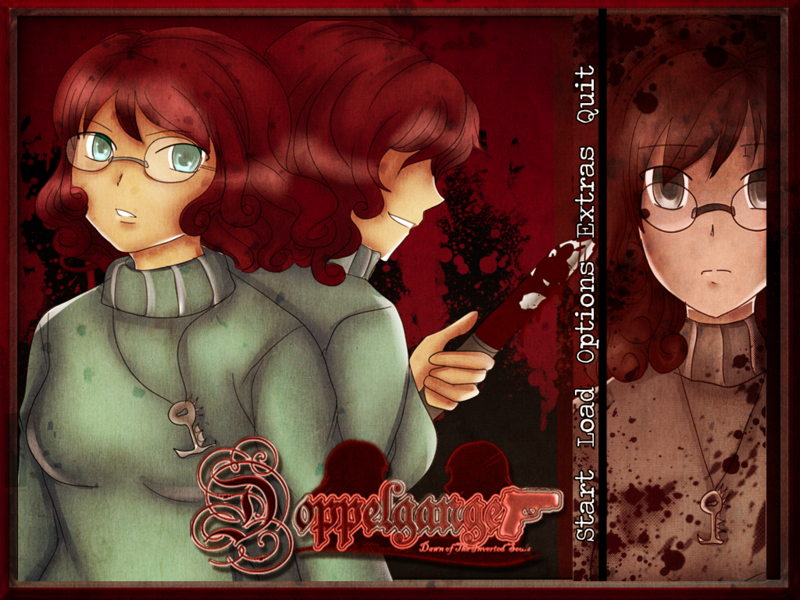 This game is made by azurextwilight (Writer, artist) and Coren (Co-writer). I absolutely adore your work! Doppelganger got me hooked, I don't know how you make the storyline so captivating but damn. I love how you built up the depth of the characters and the different perspectives change the 'truth'. Thank you for all of this! Thank you for playing! <3 I hope you will look forward to my next games! YOUR GAME IS AWESOMEEE!! Wishin' I could me you in person to give you a hug (if thats not creepy) though I am so far. Thank you for making these Vn's. I really appreciate your creation. Do you know some site where I could listen to red moon or white moon (clifford and shuangs theme)? I just really find you amazing and brilliant. I envy you for having such a great mind. Played this I think four years ago from Ren'Pys games list upon a friend's recommendation. 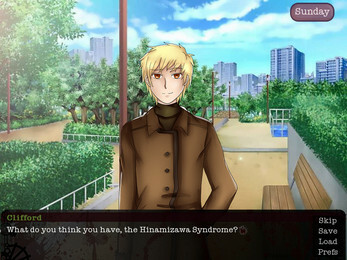 The first VN I've ever played but it's now still one of my favorites (after playing a LOT). It was part of a sort of VN library I kept in my old laptop, that stopped working, so I'm ecstatic seeing this online again. Great character sprites, emotional opening vids, HUGE variety of endings, AMAZING FINAL ENDINGS, and beautiful music. 100/10 recommend. Hi there! I tried downloading this game today and it seems to not be working. The download page appears but nothing actually...downloads. Thought you should know! Just enable pop up and you will be ready to go! FIRST! Wow this really brings back memories. I really enjoyed making this with you, Azure! YESSS COREN <3 I missed our game-making days!